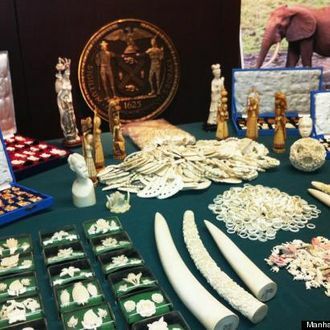 Two local jewelers have pleaded guilty to peddling large amounts of ivory, agreeing to turn over more than $2 million of the illegal elephant-tusk items and donate $55,000 in aid to the Wildlife Conservation Society for the endangered animals. “Poachers should not have a market in Manhattan,” said District Attorney Cyrus R. Vance Jr. at a news conference today, bringing our attention to an issue we didn’t even know this city had. But duly noted.